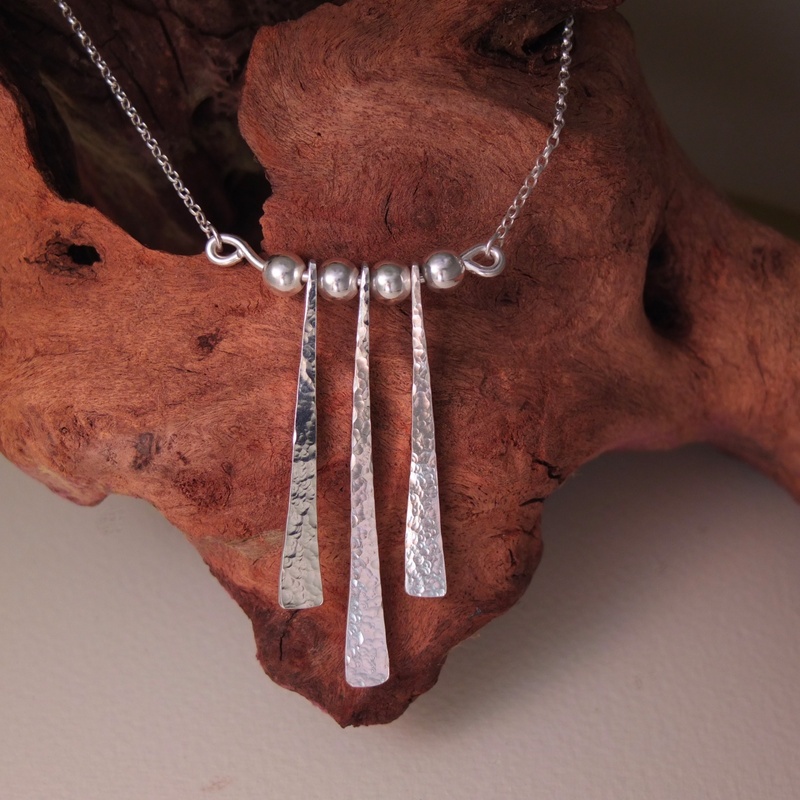 Combining the wire wrap technique with pearls get these lovely designs. 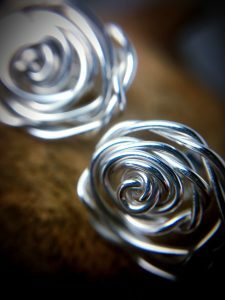 Silver stud earrings formed from round sterling silver wire. 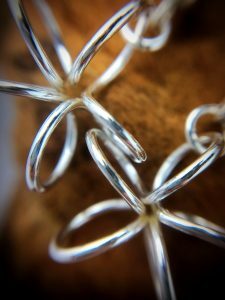 Wrapping the wire and re-forming into disc shapes creates an attractive flatter design still retaining texture and appeal. 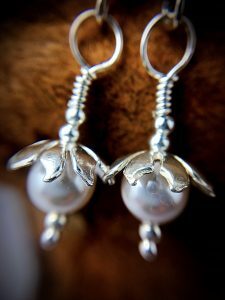 These earrings were inspired by little berries. 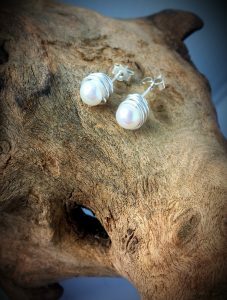 Sterling silver and pearl they would make an ideal accompaniment to any colour clothing but especially white. Here’s what happens when I am locked away in the workshop avoiding the snow outside, my mind turns to spring and I end up with these little flowers. 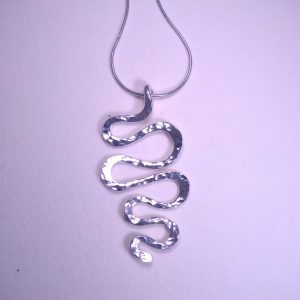 Some may say that they remind them of symbolic atoms or magnetic fields but I was just looking for something unusual! 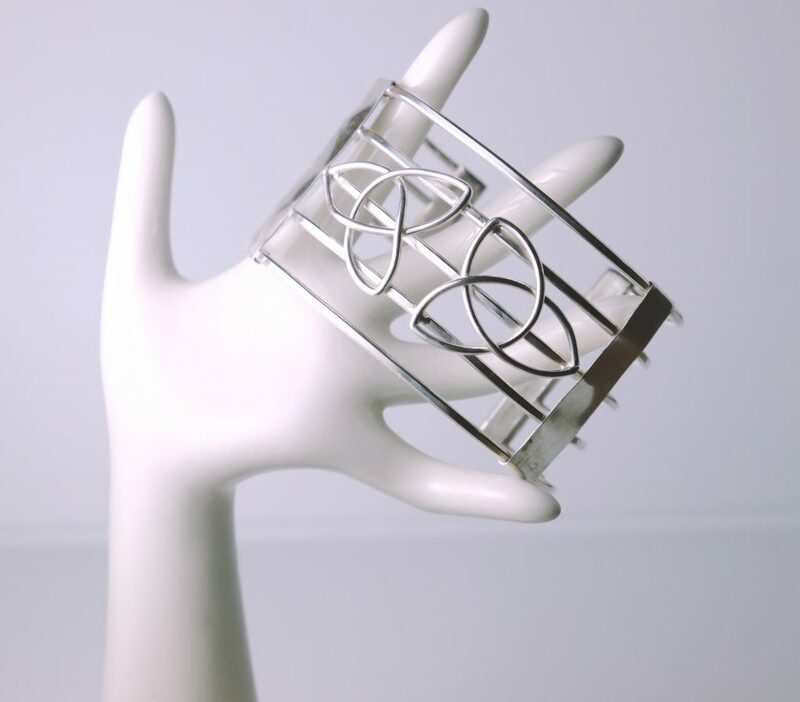 How cute is this little baby bangle? 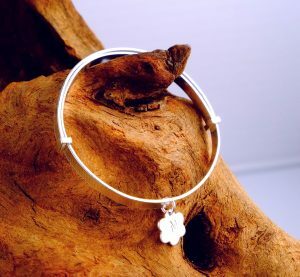 Sterling silver again with a little initial tag and a magic trick that lets it grow with the wearers wrist. 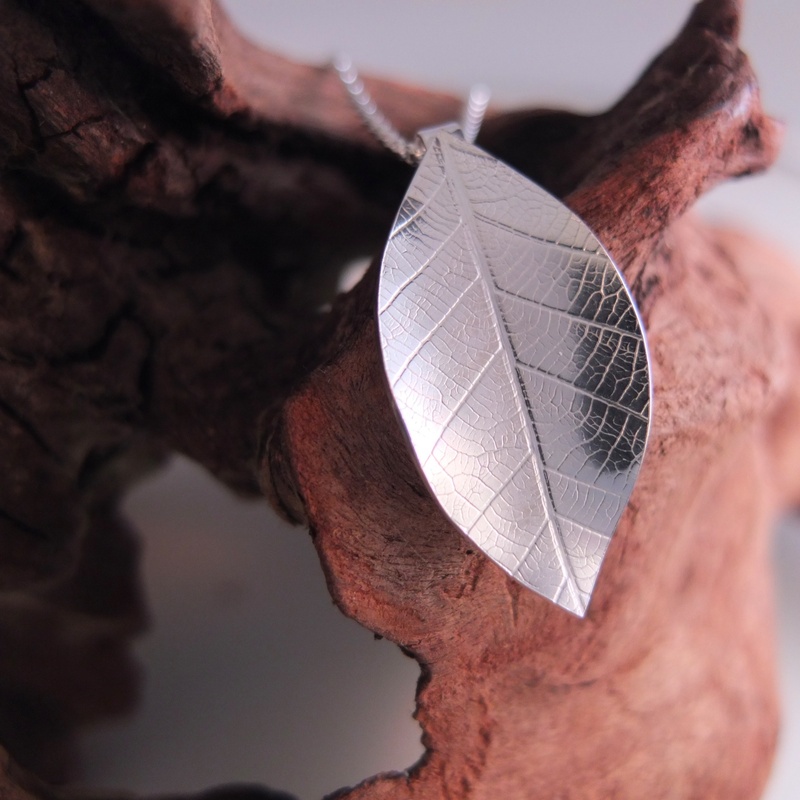 This beautiful sterling silver pendant was inspired by the natural surroundings of the Chiltern Hills and carries a genuine leaf print pattern. 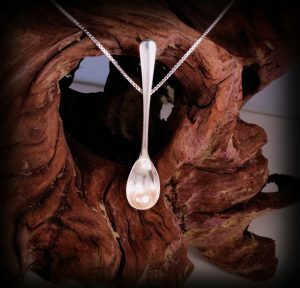 Because of the nature of leaves this means that every piece will be different in the same way as a fingerprint so totally unique.